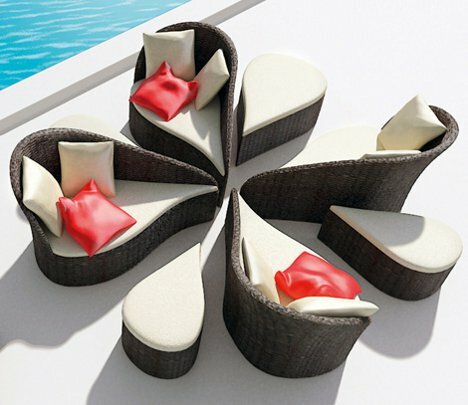 Looking like the petals of a deconstructed flower, the Fiore collection of patio furniture from B-alance is a modular set of sofas, coffee tables and footstools. The elegantly curved pieces call to mind the balance of yin and yang as they perfectly fit together. 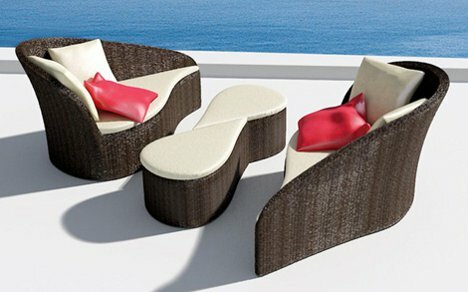 The Asian-inspired collection features dark rattan frames and plush white cushions, again reinforcing the theme of balance. 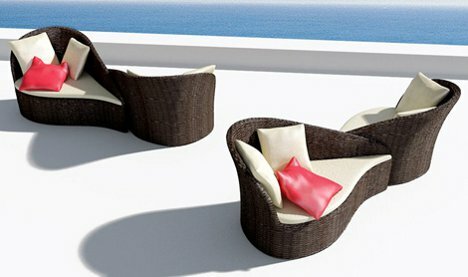 Artful curves allow the pieces to snuggle up to one another, creating all kinds of creative configurations. A sofa plus a teardrop shaped footstool, a pair of sofas back-to-back with a couple of coffee tables, a large grouping of all three types of pieces – every arrangement is an individual work of functional art. The set draws a certain amount of inspiration from the cherry blossom: that well-loved symbol of life and renewal. 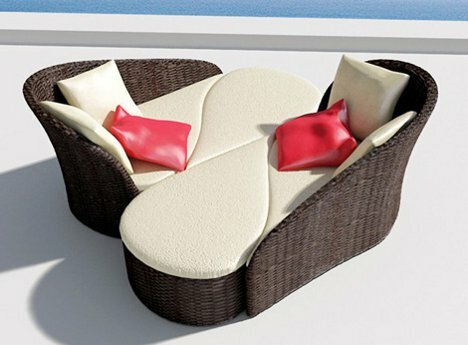 The delicate, graceful shapes combined into a small, intimate setting or put together in a large conversation circle would bring style and sophistication to any patio or deck.